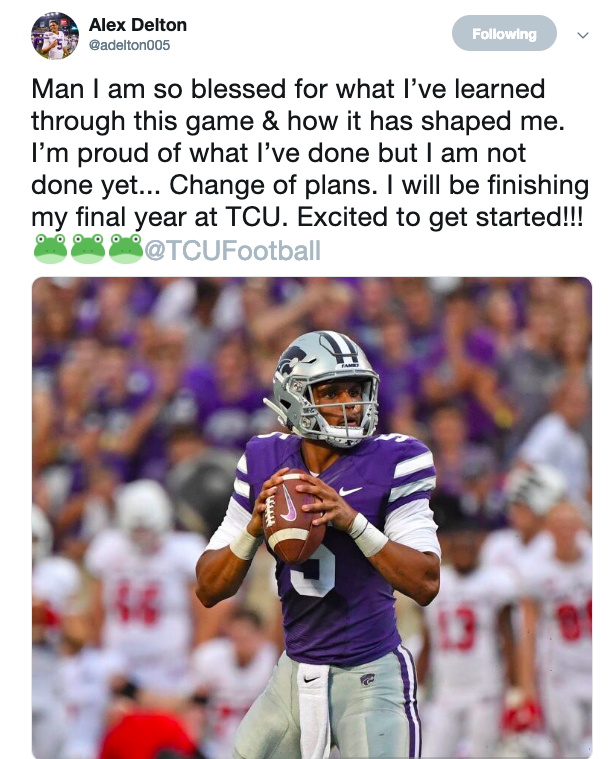 Alex Delton announced after the 2018 football season ended that he would be transferring from Kansas State. He settled on UTEP, the home of former K-State Offensive Coordinator and now Miners Head Coach, Dana Dimel. Tuesday night Delton announced on Twitter that he had a change of plans, tweeting that he would be going to Fort Worth and joining the TCU Horned Frogs for his final season of college football instead. Delton has one year of eligibility remaining after becoming a graduate transfer after this past semester.